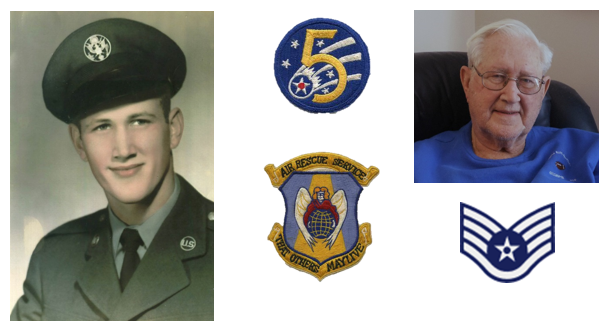 Arthur Gillespie, born in Draper North Carolina joined the US Air Force in 1951. He was trained as an Aero Medical Specialist. 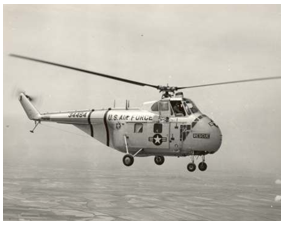 After training he was assigned to the 2157th Air Rescue Squadron flying as part of an H-19 rescue helicopter crew. He flew many missions, one where his crew rescued downed Jet Ace Capt. Joseph McConnell Jr. and another where Arthur’s crew themselves had to be rescued after crashing into the Yellow Sea. 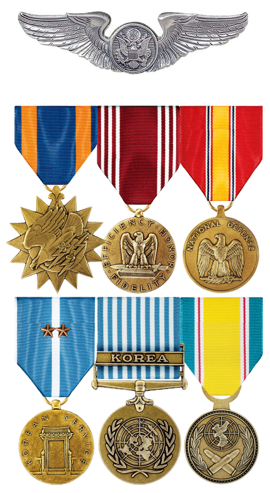 Arthur also served as an Aero Medical Assistant with the 1600th USAF Hospital and later as a Flight Surgeon Assistant with the 4050th USAF Hospital both at Westover AFB, MA. Shortly after discharge, he began working as a Pharmaceutical Sales Representative in NC. He continued as a sales representative in GA, TN and VA and retired as a National Sales Manager for Pfizer in 1995.